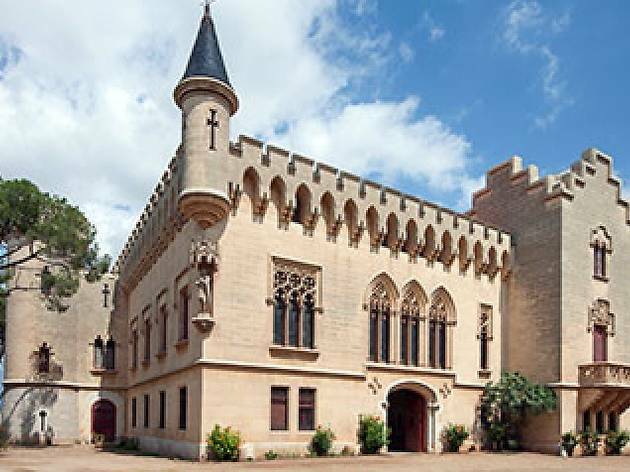 Vila-seca, La Pineda Platja, in the middle of the Costa Daurada, offers plenty of leisure and entertainment for the whole family. 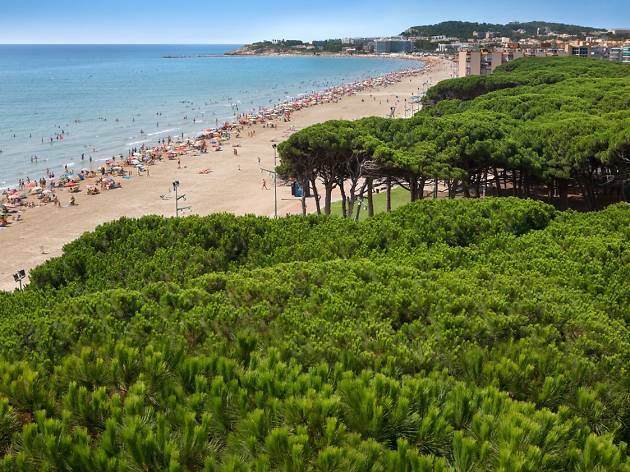 This coastal destination has the seal of quality of Family Tourism Destination, a distinction granted by the Catalan Tourism Agency of the Generalitat de Catalunya to towns that take a special interest in family tourism and offer a range of things to do for all ages. A good way to get to know the area is to go for a weekend getaway to explore it fully. There's nothing better than starting a relaxing weekend than disconnecting by the sea. At La Pineda beach, we suggest you start off with a nice stroll along the coastline, featuring nearly 4 kilometres of beaches that provide lovely surroundings. 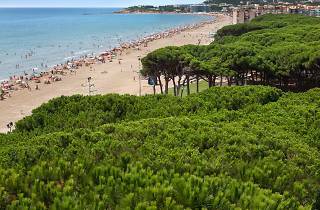 The beaches are certified Blue Flag areas by the European Foundation of Environmental Eductation. There you can also see one of the most representative symobls of La Pineda: a group of sculptures by the same name. 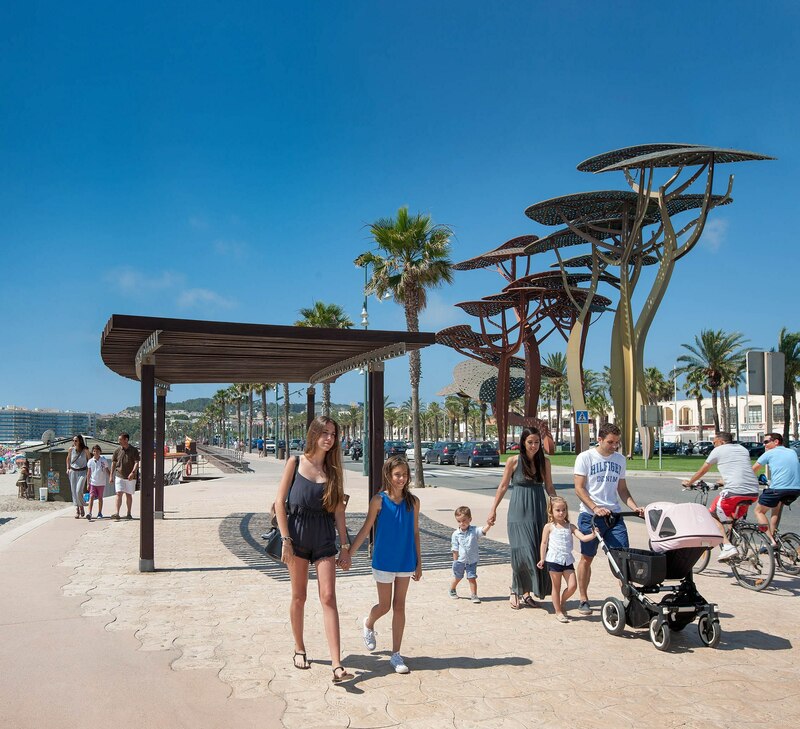 Designed by artist Javier Mariscal, the group of eight pine trees, which stand 24 metres tall and weigh 130 tonnes, embellish the seaside boardwalk as a symbol of sustainability, future plans and urbanism in the area. 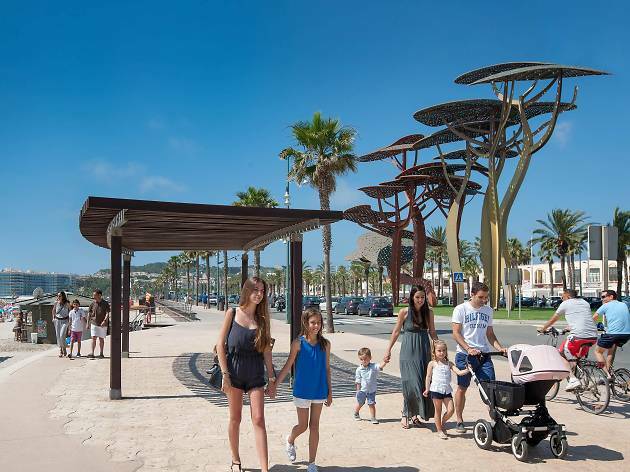 The steel and copper sculpture has helped promote the Vila-seca, La Pineda Platja area around the world, as its image was adopted as a logo for the Patronat Municipal de Turisme de Vila-seca. Very nearby, another sculpture group, 'Marca d'Aigua', receives visitors filtering light and wind. 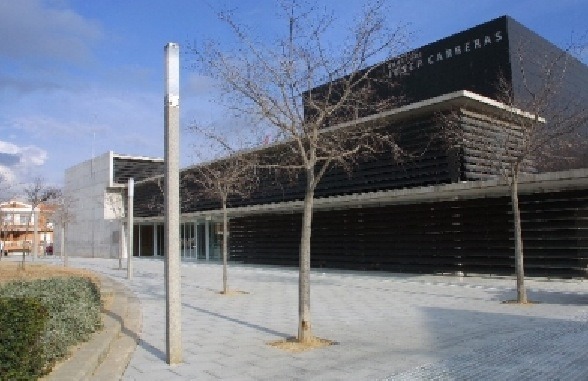 Made of steel, the work of sculptor Sergi Aguilar was built as a tribute to writer and poet Carlos Barral, and evokes sea, wind, earth and walks, marking the four cardinal compass points. To round out your day, you can head to the Parc del Pinar del Perruquet, a natural space that's 2.5 hectares in size where you can stroll around and relax while the kids have a great time. 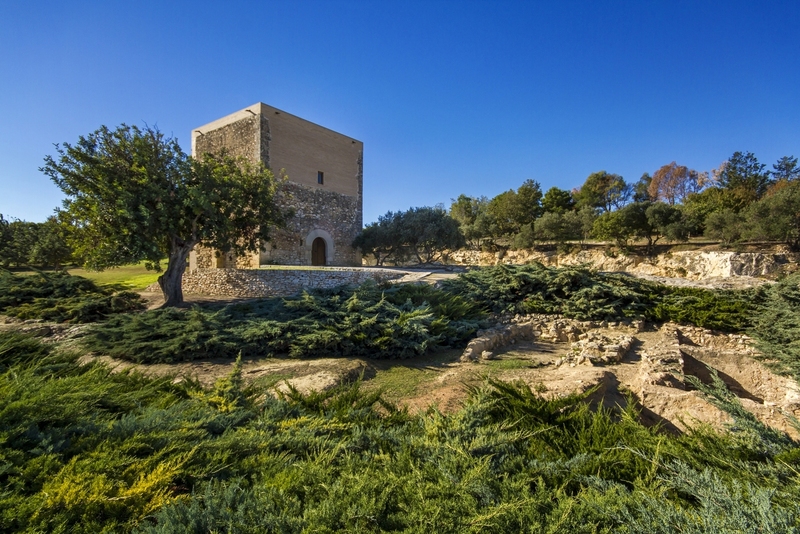 After a first relaxing day, get yourself energized to discover Vila-seca by walking along the Raval de la Mar, a large road that's just over 3 kilometres and is made for both road traffic and leisurely strolls or cycling. When you reach the histori centre, you can learn about the area's corners full of history through a route marked with QR codes that will give you information about each monument. 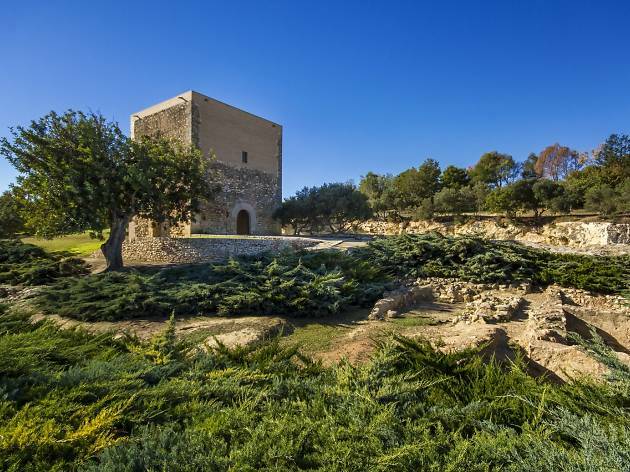 Along the way you'll find the Parc de la Torre d'en Dolça, named after the 16th-century defence tower that stands in the middle of the park, and where you can take a break and rest for a while. 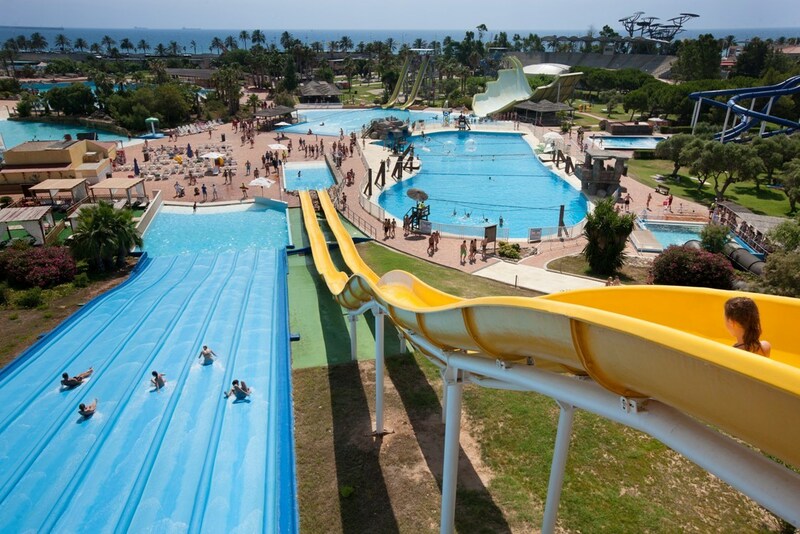 If you want a refreshing and fun afternoon, you simply must get to Aquopolis Costa Daurada, Catalonia's biggest water-based theme park, and the only one on the Costa Daurada with a dolphinarium. There you can enjoy the dolphin show and even swim with them if you book that activity in advance. 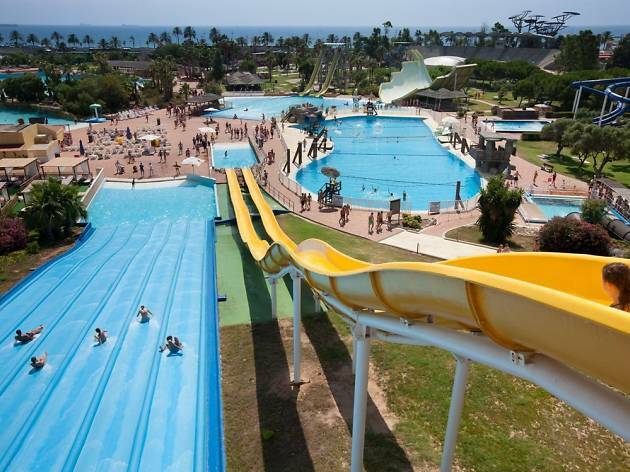 And of course you can have a blast on the incredible water slides and inner tubes, as well as relax in the swimming pools. From exciting waters to the calm of wellness centres... You can fully relax with a water circuit in one of the two spas in La Pineda. Both Aquum and Spalas in the Hotel Palas offer a multitude of installations where you can experiment with waterfalls, jacuzzis, saunas and more, and you can also choose from a variety of beauty and well-being treatments. Enjoy a wonderful experience for mind and body. Your trip is coming to an end, but it’s next to impossible to spend some time in Vila-seca, La Pineda Platja and not visit the famous theme park of PortAventura World, and the newer theme park Ferrari Land. 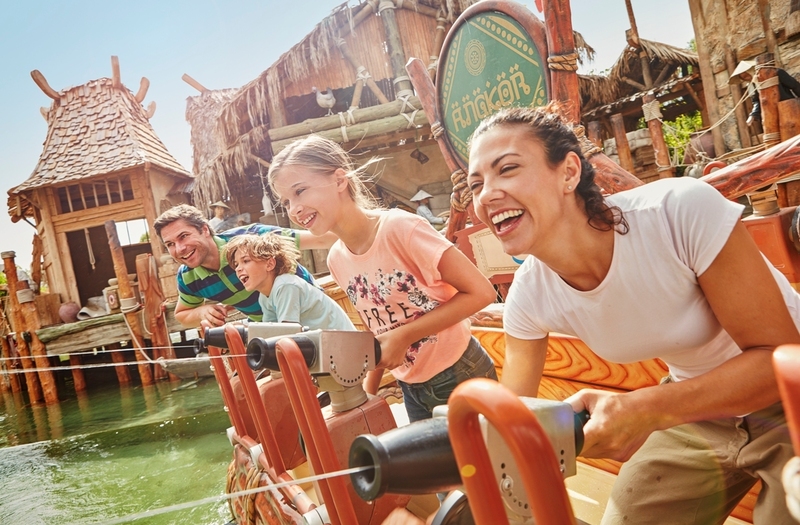 The huge amusement park that is PortAventura World boasts six themed areas that transport you off to China, Polynesia, the Far West, Mexico, the Mediterranean, and even Sesame Adventure. Each one of these areas features numerous rides of various intensities for thrill-seekers and others who want to take it a little easier. 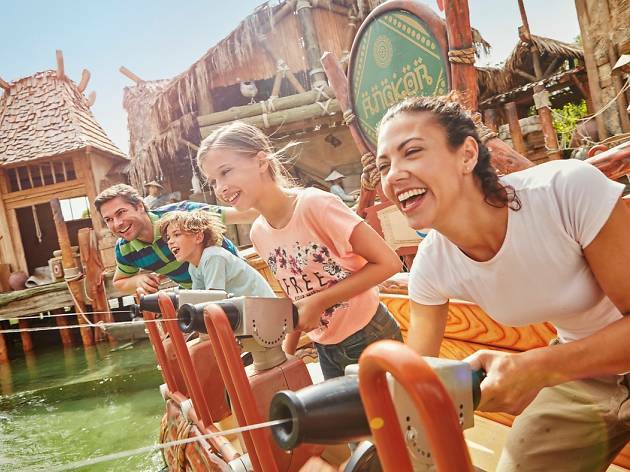 All in all, you'll find more than 40 rides and nearly 15 shows for the whole family to enjoy. If you still have energy left to keep discovering the corners of one of the most beautiful places on the Costa Daurada, remember that you can also visit the Lumine Golf & Beach Club, a sport resort that covers more than 200 hectares and features three golf courses; the Beach Club, with eight infinity pools as well as the Lumine restaurant, where you can try top dishes of regional cuisine; and Clos Barenys and Vinyes del Terrer wineries and vineyards. 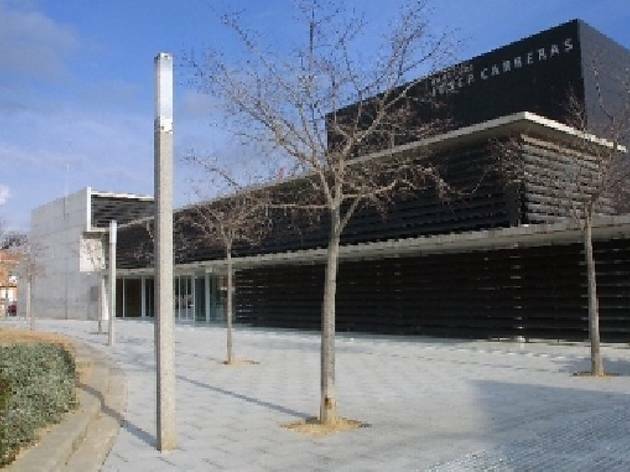 Adjoining the Conservatory of Music, this auditorium bearing the name of Catalonia’s best known tenor has a diverse programme of classical and popular music concerts. 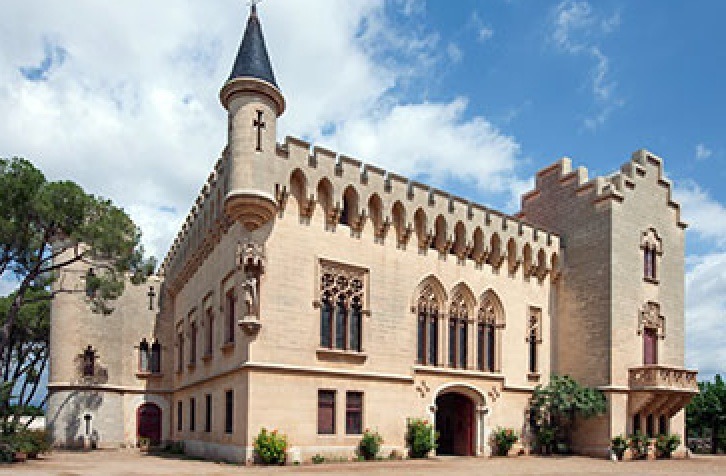 It also occasionally hosts conventions and symposiums.